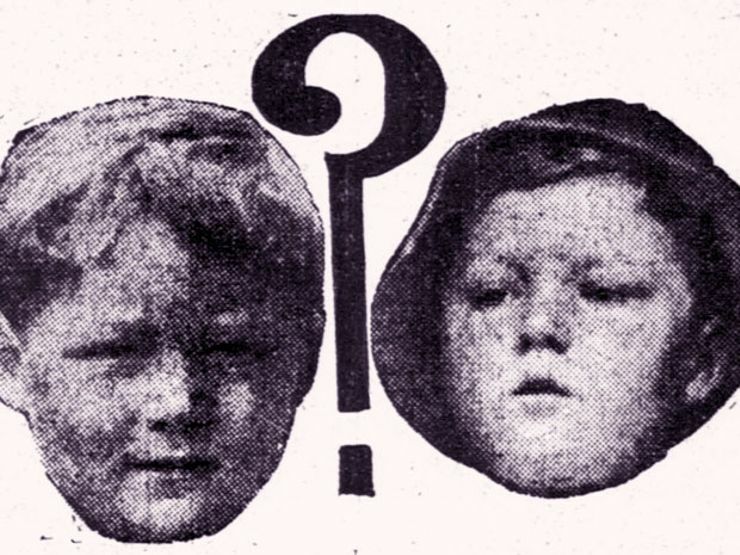 Bobby Dunbar before the disappearance (left), and the boy found by police (right) and believed to be Bobby. On a late summer day in 1912, a young boy vanished while on a fishing trip with his family. The nightmare seemed over eight months later, when authorities found a boy matching the missing child’s description. This discovery, however, was merely the beginning of a family mystery that lasted for decades. Little Bobby Dunbar was four years old when he went missing on August 23, 1912. His family, on vacation from their home in Opelousas, Louisiana, had been fishing at Swayze Lake in St. Landry Parish. Upon realizing their son was gone, the Dunbars contacted police. Authorities launched a massive manhunt for the missing boy. In April 1913, investigators located a child in neighboring Mississippi who seemed to match Bobby’s description. The boy was in the custody of William Cantwell Walters, a handyman who specialized in piano and organ repair. William and the boy were traveling at the time, and while the man readily admitted that he was not the boy’s father, he did claim to know the mother. The child, he declared, was Charles Bruce Anderson—known simply as Bruce. He was the son of Julia Anderson, a young woman who worked for the Walters family. William was traveling with Bruce at the express permission of his mother. The handyman’s story failed to convince investigators. William was promptly arrested for kidnapping, and the young boy was taken into state custody. Percy and Lessie Dunbar, meanwhile, hurried to Mississippi to claim their son. Complications arose almost immediately. While some newspapers claimed the boy shouted “Mother” and raced to Lessie Dunbar, other sources told of frightened tears in the child’s eyes, and Lessie expressing doubt as to whether the boy was her son. Reports of little Bobby’s reunion with his brother Alonzo were also split; some papers claimed the four-year-old was happy to see his sibling, while others said that the children were cool towards one other. It wasn’t until the next day, after Lessie had given the boy a bath and found familiar moles and marks on his body, that she made up her mind. The child, she said, was her Bobby. 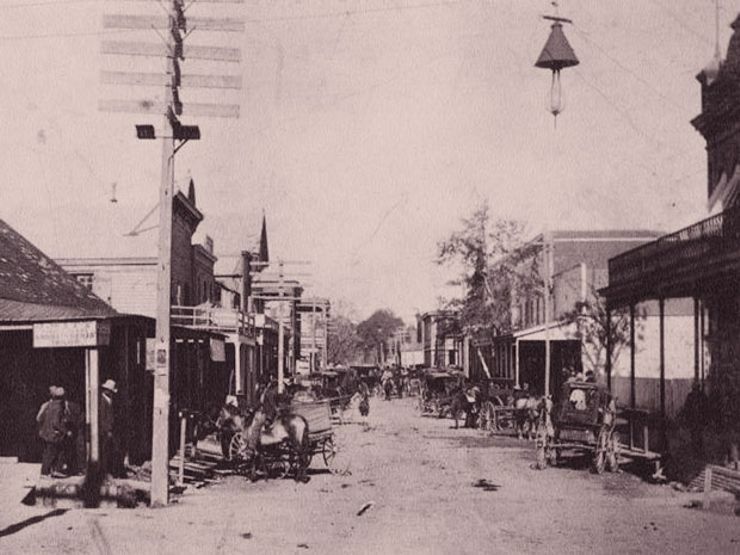 Main Street Opelousas, Louisiana. Photo: Wikimedia Commons. The Dunbars were greeted with a parade upon their return to Opelousas. It seemed all was well—that is, until Julia Anderson showed up. Julia Anderson was a young woman from North Carolina who worked as a field hand. She was unmarried and had little money to her name. Arriving in Louisiana, she claimed that the boy was her Bruce, and he had been unlawfully taken from her. Authorities as well as the Dunbar family dismissed Julia’s claims; they were convinced the case was closed. The public was just as skeptical. Young Julia—having had two other children out of wedlock, who both died—was seen as morally unstable. Police reportedly presented a lineup of little boys to Julia that included the child in question. When she struggled to immediately identify her son, it was settled. Julia’s claims were dismissed. And so, without the financial ability to pursue a court case, Julia Anderson went back to Mississippi, childless. Handyman William Walters was convicted of kidnapping and sentenced to life in prison. This despite multiple testimonies—including Julia’s—that declared his innocence. He served two years in jail before his attorney appealed the conviction and his sentence was dropped. Julia married, and had seven more children; they grew up hearing the stories of their “missing” brother, Bruce. 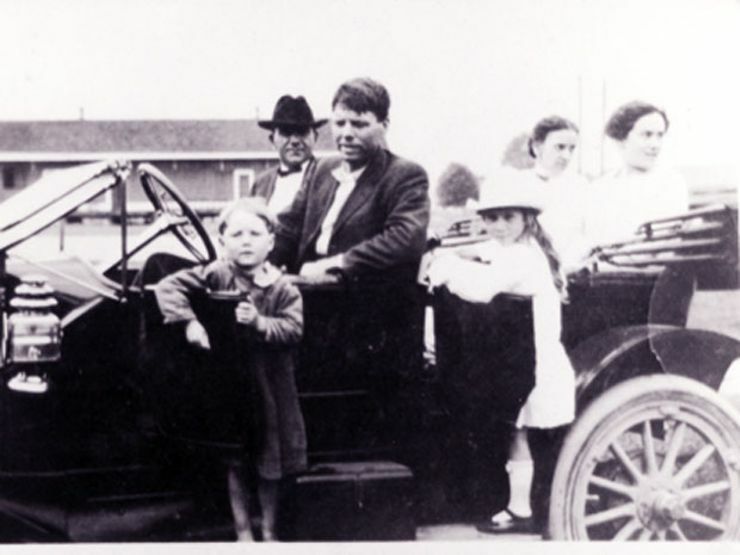 The boy raised as Bobby Dunbar poses with the Dunbar family. Photo: Wikimedia Commons. The boy raised as Bobby Dunbar went on to marry and have four children of his own. According to his offspring, Bobby sometimes drove over to Mississippi, visiting the town in which he was “found.” While he passed away in 1966, the mystery of his disappearance lived on. Years after the man’s death, a granddaughter named Margaret Dunbar Cutright launched her own investigation into her family lineage. Margaret hoped to confirm that she was indeed a Dunbar. The results, however, told a different tale. According to Margaret’s genealogical research and interviews with surviving family members, her grandfather was not Bobby Dunbar but Charles Bruce Anderson, Julia Anderson’s son. Margaret’s findings divided her family; many wished she’d just left the past alone. Then, in 2006, Bob Dunbar Jr., the son of the man known as Bobby Dunbar, participated in a DNA test with his cousin, the son of Alonzo Dunbar. The test proved that the two were of no blood relation. In 2008, This American Life released an hour-long episode dedicated to the case of Bobby Dunbar and Margaret’s search for the truth. She also co-authored a book about the disappearance, A Case for Solomon: Bobby Dunbar and the Kidnapping That Haunted a Nation. For some, the DNA test brought closure. For others, it only raised more questions. In either case, the results mean that the disappearance of Bobby Dunbar remains unsolved. What’s more, William Walters spent two years in prison for a crime he didn’t commit, while the separation of Charles Bruce Anderson from his biological family—whether done knowingly or not—was facilitated by the police.